Paul Groseta has a passion for land in the fields of Real Estate Brokerage, Appraisals and Management specializing in agricultural, recreational, rural and transitional land. 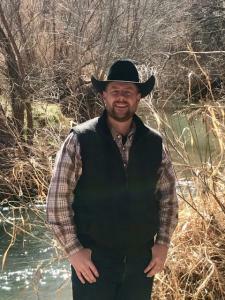 Being a 4th generation rancher raised in the Verde Valley of central Arizona he has an acute knowledge and understanding of issues ranch and land owners are facing from water rights to urban encroachment. Paul and his wife have four children and together they enjoy spending time attending their kids sporting activities and recreating on the Verde River. The Rio Verde Ranch’s 83.93 acres are completely surrounded by Prescott National Forest and bisected by the upper reaches of the Verde River for nearly half a mile. Cherry Springs Ranch is 90 miles north of Phoenix at 4,800-feet elevation.